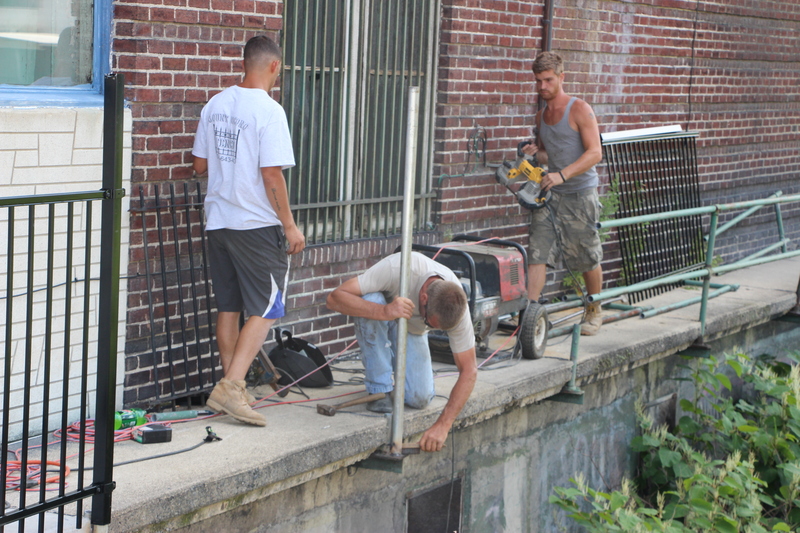 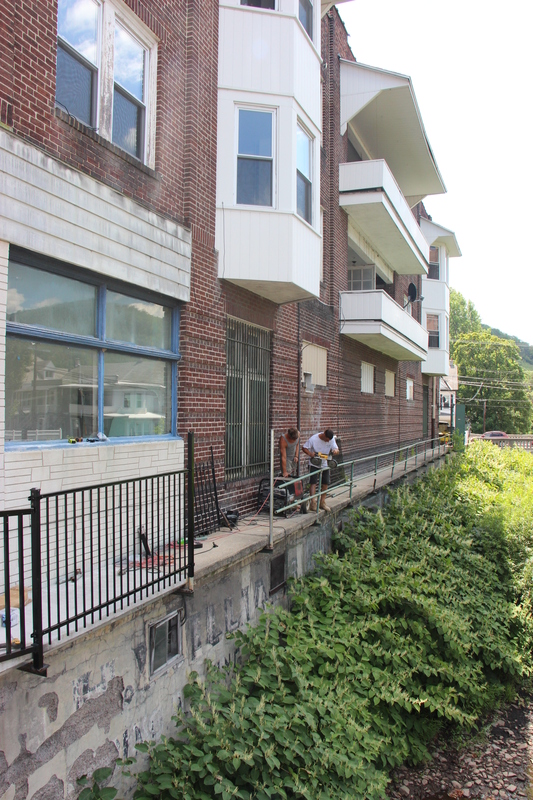 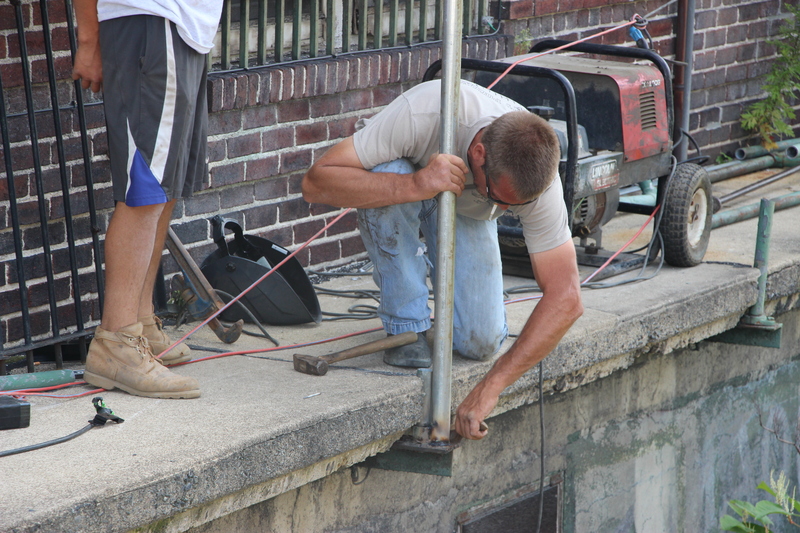 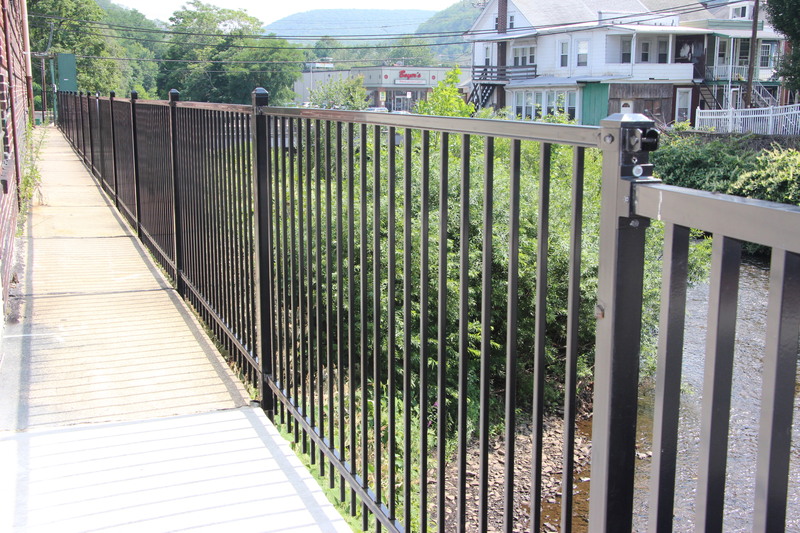 Pictured are contractors replacing a fence last month along 238 East Broad Street in Tamaqua. 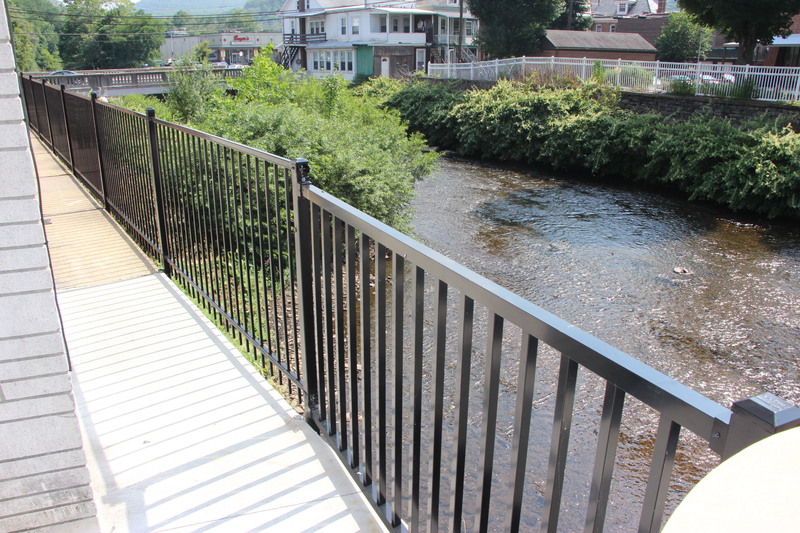 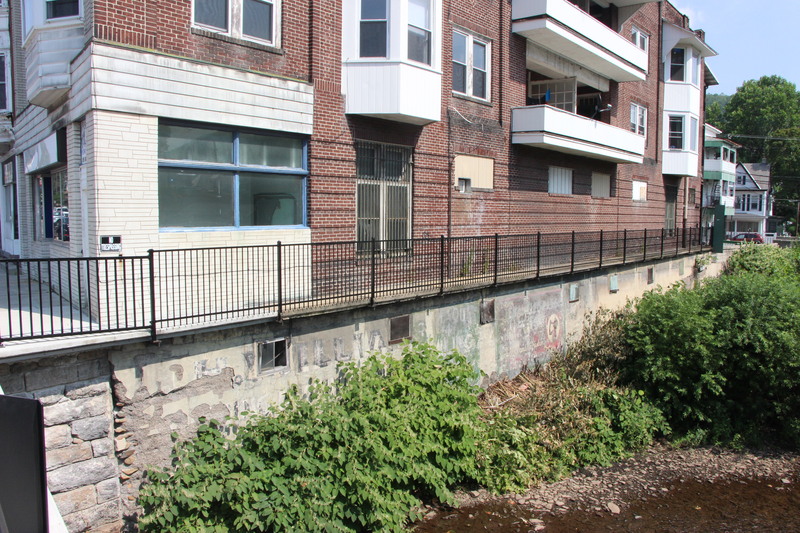 The property runs parallel to the Little Schuylkill River. 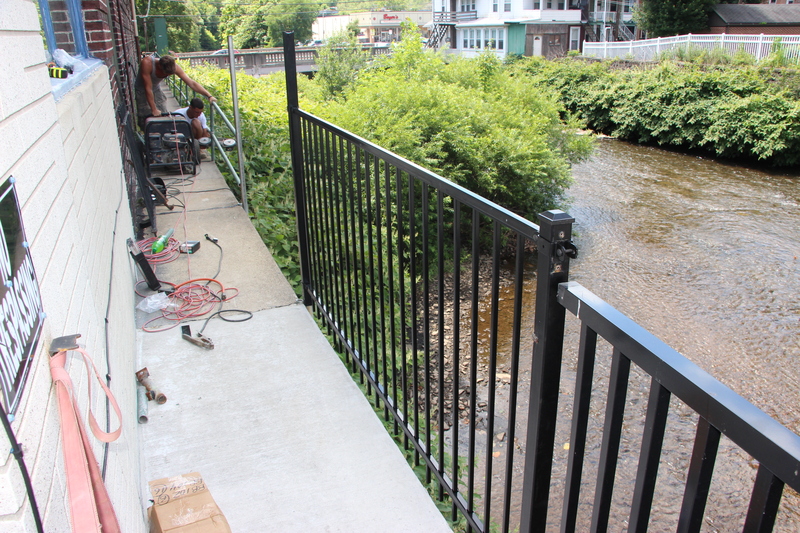 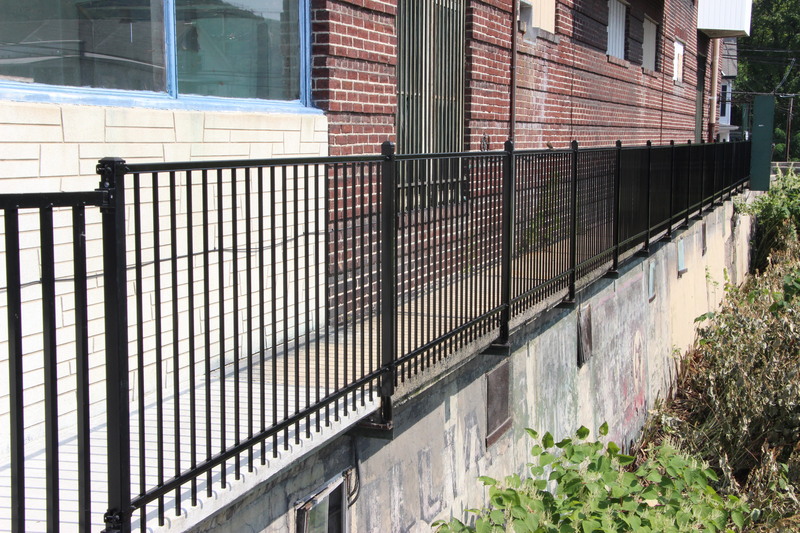 Contractors said the owner of the property chose to replace the old pipe fence with a modern, safer fence. 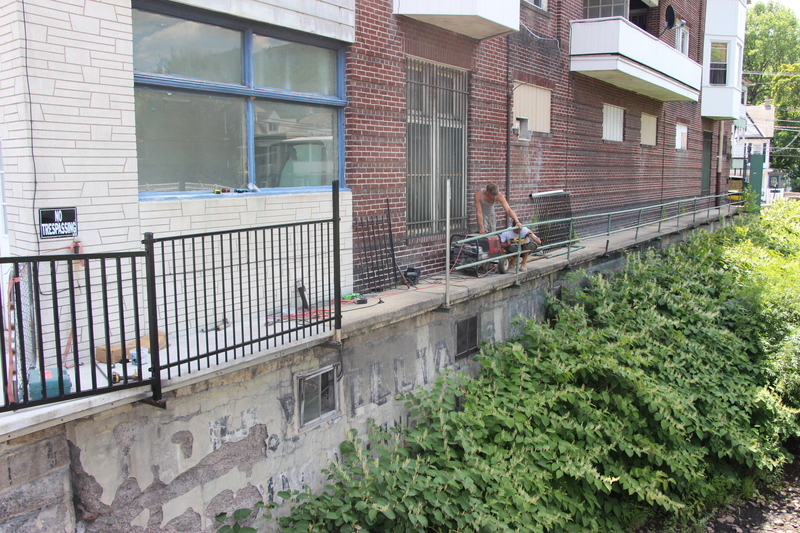 Page down further to see the finished work.